The 18th (Queen Mary’s Own) Hussars was stationed at Tidworth, Wiltshire when Britain declared war on German on 4 August 1914. The Regiment was mobilized and landed at Boulogne on 16 August 1914 as part of the 2nd Cavalry Brigade, Cavalry Division. This Division was redesignated as the 1st Cavalry Division on 16 September 1914 and the 18th Hussars served with this formation for the duration of the war on the Western Front. If you’d like to learn more about the Regiment I would recommend downloading its war diary (see below) for a small fee from the National Archives’ website. 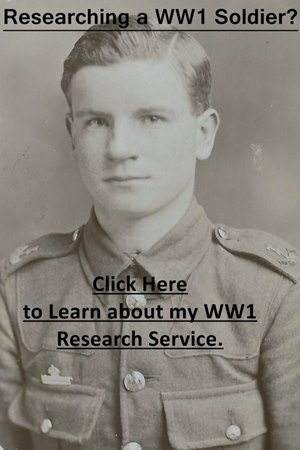 Start off by looking at my Guides to Researching Soldiers who Served in the British Army in WW1. My guides looking at medal and service records will be of the most interest. I also have a page with 100s of British Army abbreviations and acronyms which will help you to decipher the military jargon. I would recommend downloading the 18th Hussars’ war diary which I have discussed below. Officers: You should be able to find out a lot of information regarding an officer who served in the 18th Hussars. You need to start by looking for a service record but not all have survived to the present day. If a record has survived it will either be at the National Archives (I offer a copying service) or if an officer served past April 1922 then the Ministry of Defence should still hold it: Ordering a Service Record from the MOD. The war diary of the 18th Hussars mentions officers by name and you can also check the London Gazette and Hart’s Army List for promotion dates. Newspapers are good resources to use when trying to find a photograph of an officer or information regarding a casualty. 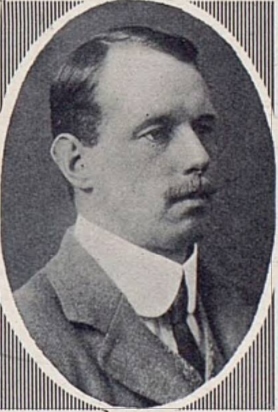 A photograph of Captain John Lockhart Wood 18th (Queen Mary’s Own) Hussars who died of wounds in the 3rd London Hospital, Wandsworth on 11th June 1915. This photograph appeared in The Sphere which contains thousands of officers’ portraits. Other Ranks: You will need to see if a service record has survived. If a soldier served past January 1921 then the Ministry of Defence should still hold the record: Ordering a Service Record from the MOD. If no service file has survived, as long as a soldier served outside of Great Britain and Ireland then there will be Medal Records. You should be able to work out an approximate enlistment date from a soldier’s regimental number. To research a soldier who served in the war, you’ll have to search the records on FindmyPast and Ancestry. Both sites offer a free trial and if you live in Britain then you can often access them for free at your local library. Clicking on the banner below will take you to FindmyPast. There are two war diaries for the 18th Hussars and both have been digitized by the National Archives. To download both war diaries for a small fee click on the blue links below. I have transcribed some entries from the Dismounted Company below. Notes: Most of the war diary contains short and repetitive entries in common with other British cavalry regiments. However, when the Regiment is in action or in the trenches there’s usually good entries. There is a nominal roll of officers and men who were entitled to the 1914 Star who were still serving with the Regiment but the document isn’t dated. An appendix by Major Leveson dated July 1918 regarding the Regiment’s activities in August and September 1914. Also, an appendix regarding the “Engagement at Elouges August 24 1914”, a shorter “Report on action near Moncel 7 September 1914” and appendixes on Ypres. Notes: A short war diary which contains only six pages, though some of the entries are detailed. The entire war diary is typed and I have transcribed some entries below. There is a regimental history covering the First World War: The Memoirs of the 18th (Queen Mary’s Own) Royal Hussars, 1906-1922, including Operations in the Great War by Brig-Gen Charles Burnett. This book was published in 1926 and hasn’t been reprinted so can be quite difficult to find. 9 February 1916: In trenches. At 2.30 am the Company bombers took over Sap 6 and the newly formed crater from the 9th Lancers. They were relieved at 4.45 am by the 4th Dragoon Guards. Casualties, one man killed, three men wounded. Lieutenant Colonel Sewell Commanding 2nd Dismounted Battalion expressed his appreciation of the way in which the Company had worked especially in the rapidity with which bombs were brought up to the firing line when urgently needed, and of the way in which the bombers carried out the duties assigned to them. During the night 8/8th enemy machine guns and snipers shewed activity. In the morning O.B.I. was subjected to continual sniping from the dump. The enemy shelled this trench from 8.15 to 9 am Brigadier General Kirby visited the trenches this morning. Lieut-Colonel Sewell visited the Reserve Trench about 10 am. In the afternoon the Company bombers took over Sap 5 (in addition to Sap 4.). The enemy dropped catapult bombs in front of Vigo Street. Fatigue parties employed bringing stores and munitions from Vermelles. 10 February 1916: Vermelles: In trenches. Various fatigues carried out during the day. In the afternoon a party was employed clearing Anchor Trench for bomb carrying. At 6.30 pm Sap 4 was evacuated and 20 reserve bombers were placed in Rifleman’s Alley at the disposal of the Battalion Bombing Officer. At 7 pm a mine was exploded near the kink in the front of Sap 3. This seems to have exploded an enemy charge close by, as the crater formed was a large one. The enemy replied against Sap 4 and that part of Bigger Willie (which had been re-occupied after the explosion, close to the Sap mouth), causing two casualties to the 18th Hussars bombers. At 10 pm the reserve bombers in Rifleman’s Alley were ordered to return to Sackvillie Street. One man was hit in the head by what was thought to be an explosive bullet at about 7 am in Sap 4 and was killed. One man was also wounded. 11 February 1916: In trenches. A party from O.B.I. was sent to Sap 6 and Bigger Willie to repair trench. Various other fatigues were performed. No. 4 platoon and 15 men from No.3 platoon relieved 9th Lancers in Kaiserin Trench from midday to stand to. No.2 platoon relieved No.4 at dusk, and held Kaiserin Trench until relieved by Middlesex Regiment next morning. The company stood to during the bombardment in the afternoon. The enemy shelled Kaiserin Trench and exploded a mine at about 6 am this morning at a point about 10 yards from the right hand patrolled portion of this trench. Much damage was done to the parapet. The enemy at once proceeded to cut a sap to the crater. 12 February 1916: The company was relieved this morning, one platoon by the Middlesex Regiment, and the other platoons by the Royal Fusiliers. Relief completed by 10 am and company marched to Sailly and billeted. Remainder of the day spent in cleaning up and bathing. During the time the Company was in the trenches considerable improvements were carried out, fire steps, drainage, and sanitation being given special attention.